What an awesome truck. This 2014 F150 Lariat 4x4 is completely LOADED. Enjoy features like heated and cooled leather seats, power sunroof, navigation, spray in bedliner, tow package, rear camera, remote start, and the list goes on and on. Plus, this turbo charged ecoboost gets 21mpg hwy. All this and we still have it priced THOUSANDS $$$$$ under book value. Come check it out. Scott Leman Autos is located in Goodfield Illinois. Text 309-212-1688 for more information! 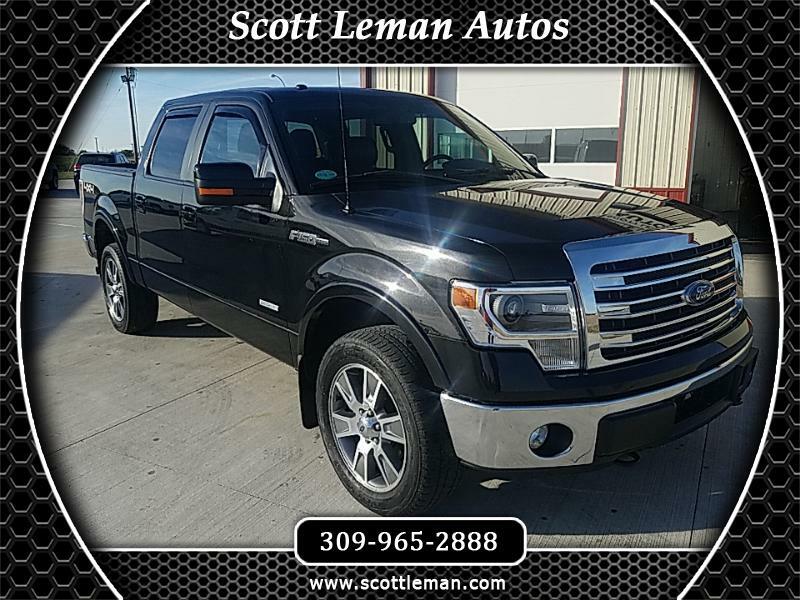 Visit Scott Leman Autos online at scottleman.com to see more pictures of this vehicle or call us at 309-965-2888 today to schedule your test drive.